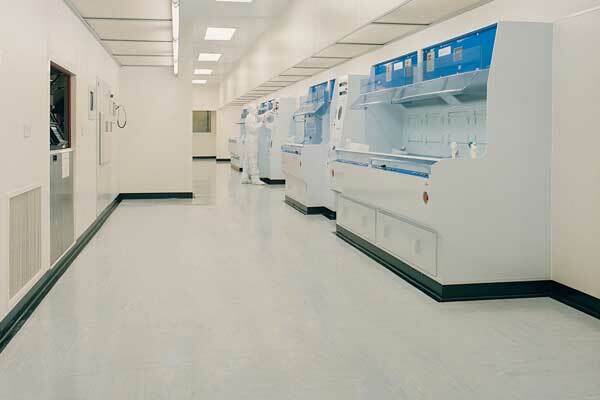 S & G are proud to be North Devon's sole supplier of ESD Conductive Flooring - a conductive, anti-static floor coating system that is perfect for use in military environments, factories/workshops that handle electronics, explosives storage areas, server farms and pharmaceutical manufacturing plants. We have developed a large amount of experience installing ESD conductive flooring across Devon. Our flooring experts can recommend the best system for your specific requirements. We will take into account the amount of traffic your floor will receive and necessary technical specification for your property. We can install the fllor at a time that is convenient to your business. Out of hours installations can be arranged to reduce the amount of down time for your business. S&G Carpets regularly provide Contract Flooring Services to clients across Devon and North Cornwall, includng Torrington, Bideford, Barnstaple, South Molton, Bude, Tiverton and Exeter. To arrange a free visit to your business, call us on 01805 623112 or fill out our enquiry form. We’ll come to you to measure up and provide estimates, we’ll also bring samples with us. If required, we provide an out-of-hours services to reduce commercial downtime.